The Sand Creek Regional Greenway is a jewel in the necklace of trails that has made the metropolitan Denver area a national model for linked trail systems. This 14-mile public greenway connects the High Line Canal trail in Aurora, Colorado with the South Platte River Greenway in Commerce City. Along the way, it passes through Denver at the newly formed Stapleton community. The Sand Creek Regional Greenway is open every day from dawn until dusk. 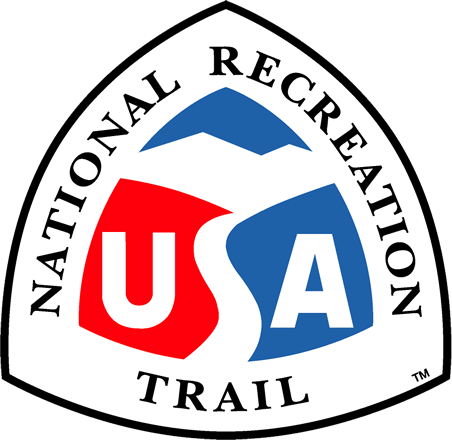 Runners, walkers, nature viewers, horseback riders, and leashed dogs are encouraged to enjoy the trail. We invite you to become acquainted with our "wilderness in the city". Location: The Sand Creek Regional Greenway runs through northwest Aurora, northeast Denver, and southern Commerce City. It connects the High Line Canal trail in Aurora at Tower Road and Colfax Avenue, with the South Platte River Greenway in Commerce City. There are many points of access to the Greenway in Denver, Aurora, and Commerce City. The main trailheads in Commerce City are south of I-270 on York and another is located at 56th and Dahlia; the Denver trailhead is west of the intersection of Havana and Smith Roads; the main Aurora trailheads are at Sand Creek Park on Fitzsimons Pkwy east of Peoria and Star K Ranch near Smith Road and Chambers. Please see our website at www.sandcreekgreenway.org for directions to specific trailheads. Sand Creek Regional Greenway is a nearly 14-mile public greenway, connecting the High Line Canal trail in Aurora at Colfax Avenue, with the South Platte River Greenway in Commerce City. The Sand Creek Regional Greenway trail completes a loop of 50 miles of off-street urban trails in the northeast metro Denver area. We are called the "Wilderness in the City." The Greenway is not an irrigated or traditional-landscaped city park; only native plants and grasses are on the Greenway. The trail is open year round, from dawn until dusk, and all non-motorized uses of the trail are welcome including bicycling, horseback riding, walking, running, and pets on leashes. The trail is also wheelchair accessible, meeting ADA guidelines. The idea of a regional greenway corridor along Sand Creek to link the High Line Canal trail in Aurora with the Platte River Greenway in Commerce City was first described in 1991 in the Emerald Strands Plan, a multi-jurisdictional planning project of three cities and Adams and Arapahoe counties. In 1993, the Stapleton Redevelopment Foundation commissioned a concept plan, which described the opportunities for, and constraints of, a Sand Creek greenway. In 1994, the current partners convened, encouraged by Great Outdoors Colorado Trust Fund (GOCO), to begin detailed planning for the corridor. Grants from GOCO and the US Environmental Protection Agency supported a year-long master planning effort for the Sand Creek Regional Greenway. In 1997, a community steering committee was formed, comprised of city council members from partner cities Aurora, Commerce City and Denver; representatives of neighborhood associations in partner cities; environmental groups, non-profit organizations; and interested individuals. The planning process was supported by a series of community open houses and design workshops where proposed plans were presented, discussed and refined. The 30-member steering committee guided the development of the greenway, with Stapleton Development Corporation providing staff support and a meeting place for the committee. 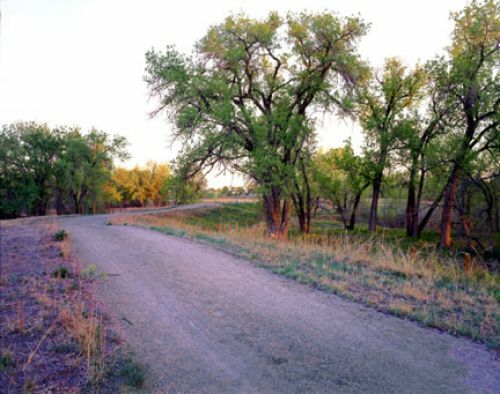 In 1997, GOCO designated the Sand Creek Regional Greenway as a Legacy Project and awarded $1.75 million in funding for land acquisition and trail construction. Two additional supplements from GOCO have brought the commitment to $3.1 million. In the summer of 1998, a workshop was held to discuss options for an appropriate organizational structure to support the development of the greenway. The workshop brought together key participants in the project and was facilitated by Denver Foundation Executive Director David Miller. The decision was made to form a non-profit organization to manage the development of the greenway as a regional resource and to take lead responsibility for fundraising for the project. An executive director was hired in May 1999 and organizational development activities began. The Sand Creek Regional Greenway Partnership was formed as a 501 (c) 3 and the Greenway trail was officially opened in 2002. SCRGP is currently fundraising for trail improvements in all three cities. These improvements include building a paved trail next to the unpaved trail in the Denver section; constructing an underpass at the 47th Avenue bridge; building a trail link to the Rocky Mountain Arsenal National Wildlife Refuge Visitor Center; completing Westerly Creek North Park, our signature park in Denver; extending the trail in Aurora; building more bathrooms and amenities along the trail; increasing access to the trail by providing more neighborhoods with trail links to the Greenway in all three cities; and building new trailheads to accommodate more cars and horse trailers. Two new innovative programs were started last year at SCRGP with the support of a generous grant from REI. SCRGP's Next Generation Partners program provides environmental education, outdoor recreation, and volunteer opportunities on the Greenway to lower-income, at-risk middle and high school students. Additionally, SCRGP's Neighborhood Partners Environmental Team consists of a dedicated group of volunteers that meet on the first Saturday of the month to pick up trash along the Greenway, remove invasive species, and perform light trail maintenance. They partner with Westerly Creek and the Bluff Lake Nature Center for this highly successful program. The Greenway passes through one of the most diverse areas on the Front Range, and SCRGP strives to make the trail accessible to all. All of the educational and directional signage is in both English and Spanish, and much of the outreach material has recently been translated into Spanish as well.